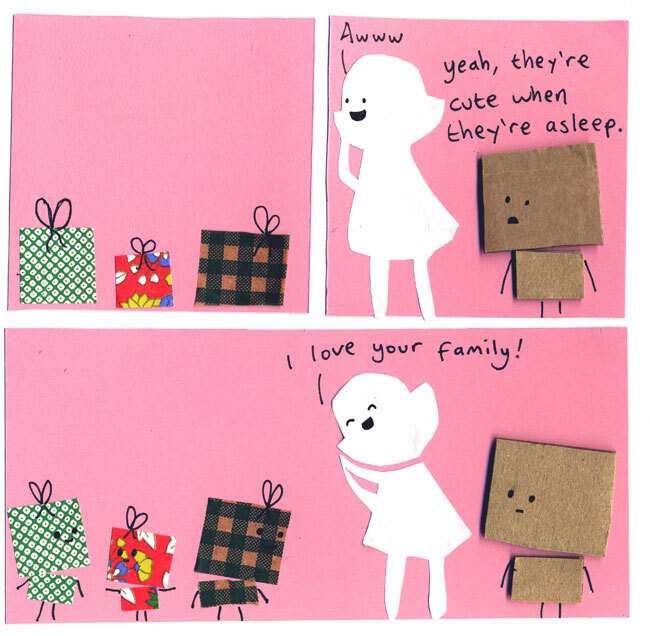 :'( if i had only known that all my christmas presents were actually sleeping cardboard kids!! Ouemgeee! Did u rip their skin off? Oh, God, I did! I’m so ashamed! were they sleeping or something????? The saddest part of this comic is that he doesn’t. pete what is with you and the saddest part!